Attendees of this short course will learn the basic processing principles used in mechanical extrusion and expelling of oilseeds and other raw materials into value-added food, feed, and specialty ingredients. This technology, which uses no chemicals in the process, can be used to process organic oilseeds, grains, and other raw materials into organic or non-GMO food and feed products. This flexible and scalable processing system produces a high-quality feed that improves livestock output and improves the quality of finished products. 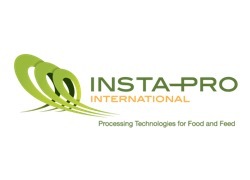 For food processors, this system can produce a high-quality or organic vegetable oil, textured soy protein as well as full-fat or low-fat soybean and other oilseed meal or flour. How non-solvent, mechanical processes improve the quality and functionality of feed meal and food ingredients. How consumer trends have driven the need for transparency in how food is produced and what you can do to better align your product in the industry. A discussion on the Consumer Labeling Program. Bell & Evans’ Founder and visionary Scott Sechler on how the use of feed products produced on these systems has improved output and quality of their industry-leading chickens and related products. Kade McBroom will speak about starting and growing a processing facility. Bell & Evans, Sechler Family Foods, Inc.